Welcome to Con Tech Instruments Ltd. 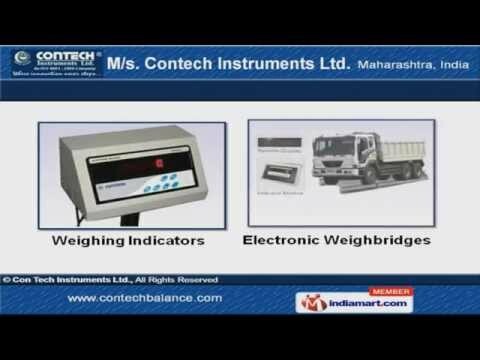 Manufacturer & Exporter of Electronic Balances ProductsWe are an ISO 9001:2000 & 2008 certified company, established in 1992 at Navi Mumbai. We cater toPharmaceuticals, Chemical, Automobile & other Industries. Our Timely delivery schedule, Competitive prices & Advanced technical support helped us to earnclientele like BHEL, HEMRL, IISc & other companies. Laboratory Balances, Gem & Jewellery Scales are some of our products. We provide high quality Supermarket & Health Scales. Industrial & Crane Scales are some of our best selling products. We offer Weighing Indicators & Electronic Weighbridges that are manufactured using high quality rawmaterials. Our Scales for Special Balance Applications are widely acclaimed in the market. Along with that we provide Electro Chemical Instruments & Gold Purity Testing Equipments.